P. Török (peter.torok@eng.ox.ac.uk) is with the Department of Engineering Science, University of Oxford, Parks Road, Oxford OX1 3PJ, UK. M. Gu (mgu@swin.edu.au) is with the Centre for Micro-Photonics, School of Biophysical Sciences and Electrical Engineering, Hawthorn, Victoria 3122, Australia. 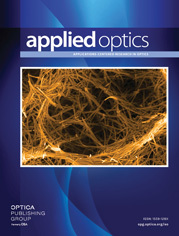 This feature issue comprises a collection of papers from groups in the forefront of the research of high-numerical-aperture optical systems and their applications. We have assembled 13 papers from a wide subject area within optical microscopy. Contributions include surface-plasmon microscopy, interference microscopy, optical coherence tomography, polarized-light microscopy, and the optical theories of these techniques.